Well, this is the week that some McDonald's branches have introduced great big thick burgers, Daniel Radcliffe shaved off all his hair and now looks rather like Voldemort, and a survey suggests that people could fall in love with robots. What ever next? In the news this week, it is all about banana skins, because boffin scientists have discovered that bananas skins are actually extremely nutritious and delicious, being packed with fibre - who knew? Apparently they have been eating them in India for years. I feed mine to my guinea pigs and they seem to like them, but we thought we'd try a banana skin right now so that we can let you know what they taste like. 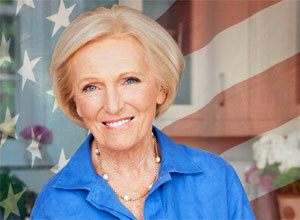 The lovely, lovely pensioner baker Mary Berry is off to the USA. Mez Bez, who is now in her 80s, has been offered a big bag of swag to appear on a new American version of the Great British Bake Off. Well we obviously wish her lots of luck in sunny Hollywood and hope that she'll return to us soon, with her cheeky wink. Big news for Apple fans. There is lots of speculation that the swanky new iPhone 7 is on the way. Rumours include a single integrated screen that is the full size of the phone, without a button, and a battery that lasts soooo much longer. Well here is a shocker. 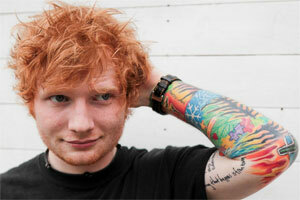 Lego House singer Ed Sheeran is going to marry Courteney Cox, off of Friends - she was Monica Geller. Now, when I say that Ed is going to marry Coxy, I don't actually mean that he is going to 'marry' her, but he is going to 'MARRY' her - he'll be performing the ceremony and probably getting his guitar out for a bit of a sing-song afterwards. Apparently they are best buds. Not quite sure when the wedding is, because our invite hasn't arrived yet. 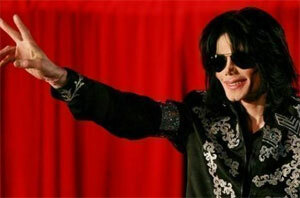 Pop sensation Michael Jackson has never been wealthier, even though he is sadly no longer alive. The King of Pop has made over £650 million from the grave since tragically dying a few years ago, and his family are still fighting about the pennies, or so we understand anyway. Thoughts on M J? Favourite songs Liv? Do you like pesto? We actually prefer to use a mixture of pumpkin seeds and sunflowers seeds, so why not try those instead? And they are cheaper as well. That is an exclusive here at the NiliPOD bedroom HQ. Last week, a man from Swansea went to Blackpool for a raucous stag night and came back with something rather unexpected - a tattoo of a pair of glasses. He thought they would been drawn on by pen, but he soon realized it was a tattoo when it wouldn't wash off. Well the moral of this story is most certainly don't drink and tattoo. And as you know, we like to try and pop in a token cute story near the end of the news. Well here is one then, kind of. Spike the dog from Canada got in a fight with a porcupine and guess who won? What about the poor porcupine then? And finally, it wouldn't really be the news without Simon Cowell making an appearance here. Apparently he's worried that the X Factor is facing the axe, because even the Antiques Roadshow is getting more viewers these days. Well Sy-Co, we don't watch it, because we don't like Mason Noise. Why on earth did you let him go through with his attitude? Simon also got accidentally headbutted by Anton Stephans. Oh dear Simon, it is just not your week. Hope that things improve for you soon.